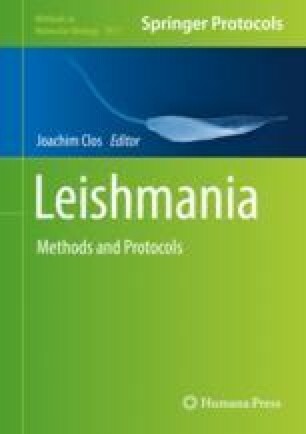 Conditional gene deletion using dimerizable Cre recombinase (DiCre) is so far the best developed system for the phenotypic analysis of essential genes in Leishmania species. Here, we describe a protocol for the generation of a conditional gene deletion mutant and the subsequent inducible deletion of a target gene. Leishmania parasites are genetically modified to express two inactive Cre subunits (DiCre) and a single LoxP-flanked version of a target gene in a context where both endogenous copies of the gene have been deleted. Treatment with rapamycin dimerizes the DiCre subunits, resulting in activation of the enzyme, recombination between the LoxP sites, and excision of the LoxP-flanked target gene. Subsequent phenotyping allows for the analysis of essential gene function. This work was supported by the Medical Research Council (MR/K019384) and the Wellcome Trust (104976, 104111).